Fine, three articles in a row on garden plants. And over a month since my last post — I’ve been busy with starting the multifarious, multistep process of starting our big remodeling project, a.k.a., the Replacement of the Ugly Backroom and Kitchen et al. So it goes. 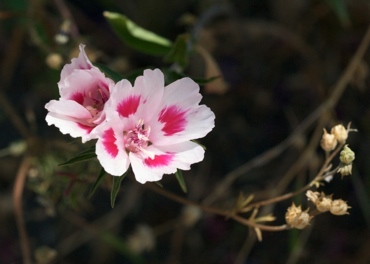 Nevertheless, the spring wildflowers are coming to an end — but they’re going out with a blast of Clarkia ! There are very few of the Showy Farewell to Spring ( Clarkia bottae ), the pale pink ones with white centers which I often see in the foothills. 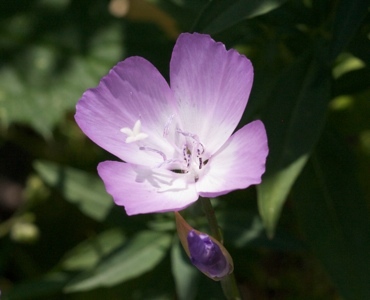 The most populous flowers overall are the Elegant Clarkia ( Clarkia unguiculata ), which come in a wild range — from deep magenta to salmon to carnation pink to nearly white. I’m amused that different colored flowers seem to come off of the same plant, too. Note the magenta-ish one sprouting on the upper-right of an otherwise pink stemfull of flowers. 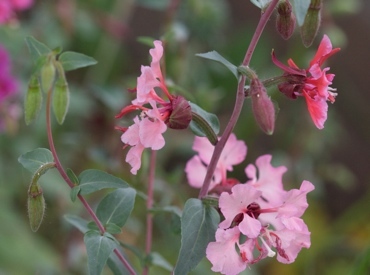 There’s yet another set of Clarkia blooming as well — also called Farewell to Spring ( Clarkia amoena ), but showier than the Showy one. 🙂 Like the Elegant one, this comes in several colors, such as red with white splotches, white with hot-pink splotches, pink with red splotches, etc. All with a rather floppy poppy-like form. 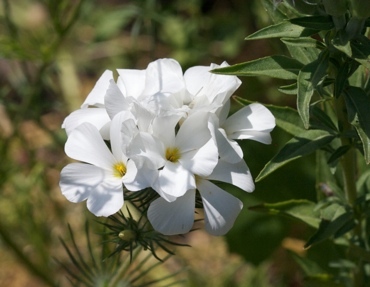 True to their name, these flowers herald the conclusion of the annual wildflower season in our garden, even though there are some Mountain Phlox and Calpops making an appearance. While it’s sad to see them go, summer will soon bring forth fruit, veggies and the (continuation of more) perennial flowers. This was written by sairuh. Posted on Friday, May 29, 2009, at 2:26 pm. Filed under Dilettantism, Places. Tagged garden, photography. Bookmark the permalink. Follow comments here with the RSS feed. Post a comment or leave a trackback.